How do I schedule posts in bulk? Bulk scheduling is an easy way to create a large number of posts (up to 500) using a CSV or Text file. 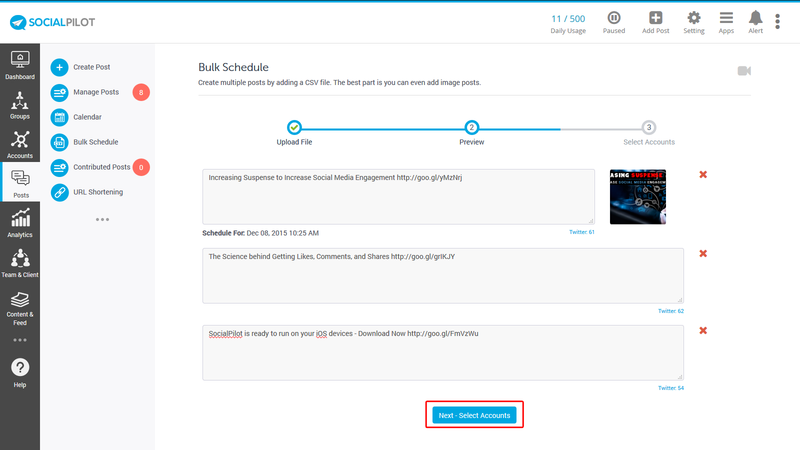 SocialPilot allows you to schedule both - image and text posts - in bulk. Just prepare a list of posts in your favorite text editor (e.g., Microsoft Word) and upload it in SocialPilot. In the tool, you can see a preview of all your bulk posts and select accounts for which you want to schedule those posts. Check out this video to know more about bulk scheduling. Click on 'Posts' -> Bulk schedule, from the left sidebar menu. You'll see the bulk schedule page and an option to upload a CSV file. Note: To learn more about how to create a CSV file for bulk upload, visit this page. If the images you want to add are saved on your computer, you'll need to create a public link for these images by uploading them to your Dropbox. You must use Public URLs for images while bulk scheduling. You'll see the preview window. Edit the content of your posts if you wish to. Then, click -> Next: Select Accounts. In the next window, select the accounts you want the content to be published from. Click on 'Add to Queue' button. Your posts are now scheduled for future use. 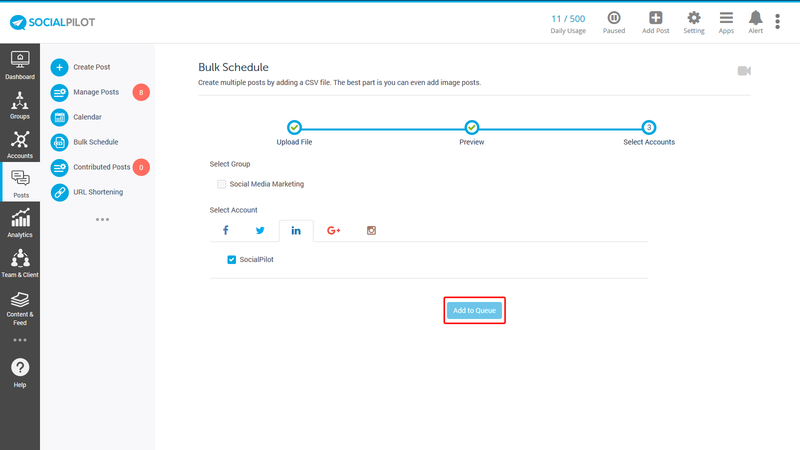 To check your scheduled posts, click on 'Posts' -> Manage Posts. 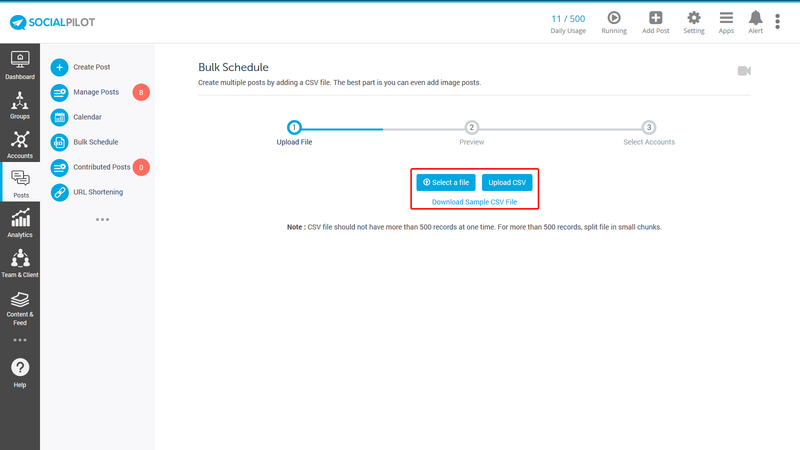 With Bulk Scheduling, you no longer need to schedule a large number of posts manually.